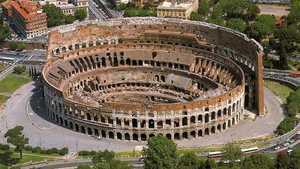 The Colosseum is in Rome, the capital of Italy. 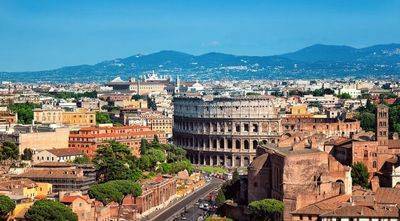 More precisely, it is on the east bank of the Tiber, the river that crosses the city, east of the ancient Roman forum. A forum in antiquity was a geographical area in which were the main buildings of power, as well as the large square on which the population met. It was both a busy place to live, a place to get married, big parties, community meetings, and so on. The stadium was less than a kilometer to the southwest, the Capitol was a little over a mile to the west. Nowadays the Colosseum is surrounded by major avenues that have largely contributed to the degradation of the monument by the discharge of the exhausts of millions of vehicles passed nearby. But fortunately it's been a few years since measures were taken to safeguard this Roman vestige and, as in India for the Taj Mahal, preventive measures were taken in Rome to fight against pollution. 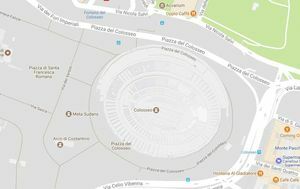 The maps below allow to see, by successive zooms, the exact location of the Colosseum. From here, all you can see is that the Colosseum is in Europe. 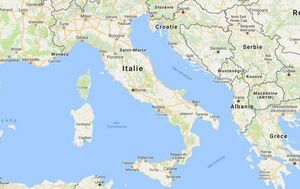 In a slightly more precise way it is in Italy. 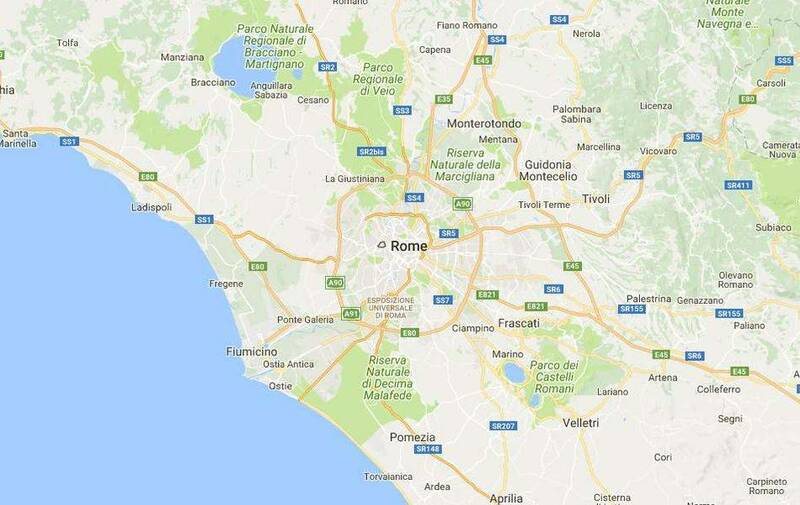 Map of the region of Rome, the Italian capital. 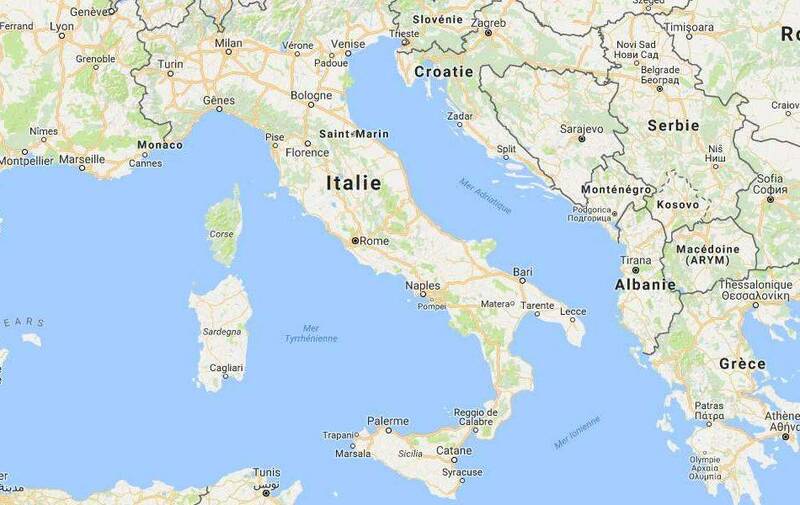 This map is more precise, it shows the region of Rome, the Italian capital. 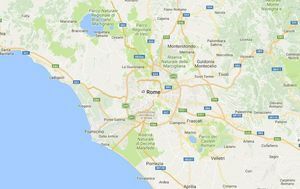 Map of the city of Rome, with the location of the Colosseum. 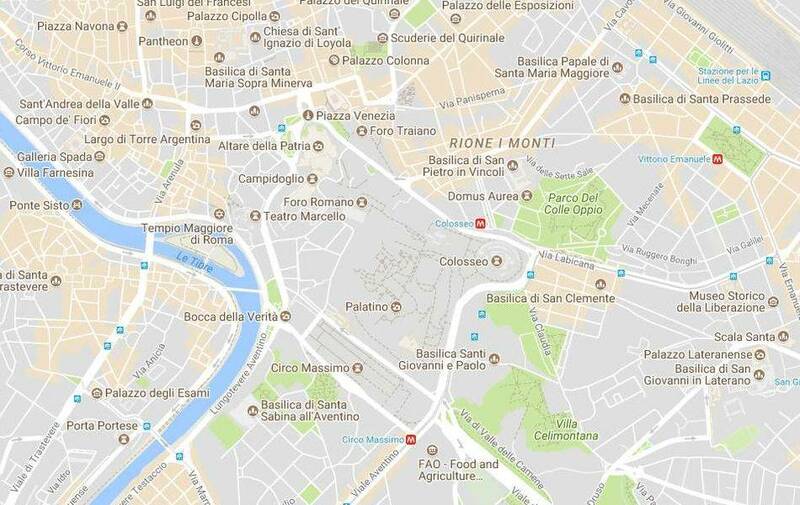 We can see that the Colosseum is in the center of Rome, on this map. This is one of the most visible top monuments. Map of the Colosseum neighborhood. 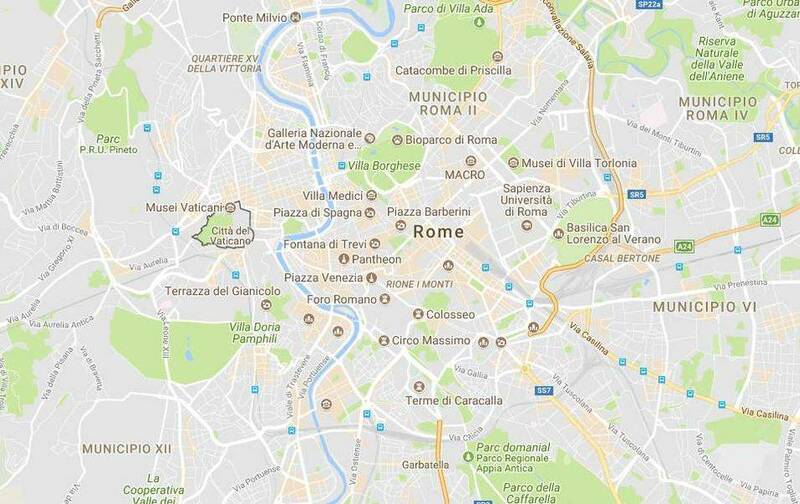 This precise map shows the neighborhood in which the Colosseum is located. 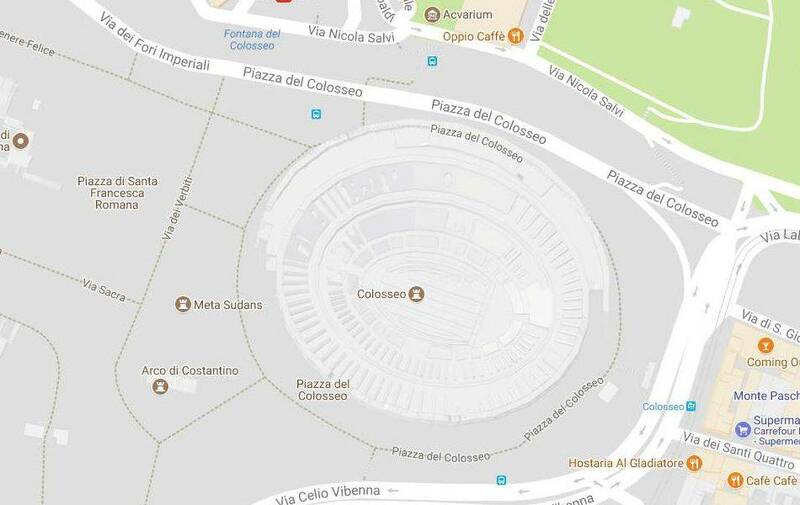 This map shows the Colosseum and details its interior. It is difficult to get closer! 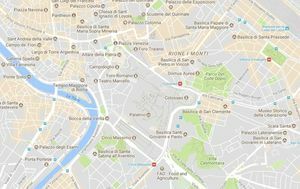 If you have the Google Earth software, click on this link or open it by double-clicking it, once downloaded: It will indicate the exact location of the monument: Google Earth Links. 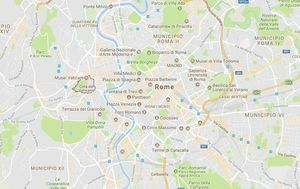 It does not help much, but it's always fun to know the distances between the Colosseum and the other major monuments in the world. In your opinion, what is the most distant monument among those on this list? Answer: It is the Christ of Rio, distant of 9184 Kms, but the Taj Mahal follows it closely with a distance of 9084 Kms. The Forbidden City of Beijing, it is 8145 Kms from the Colosseum. 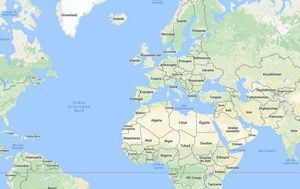 If we have the impression that the latter is the furthest away, it's just because the Corcovado is in the southern hemisphere, the distance is always very long to cross the equator. 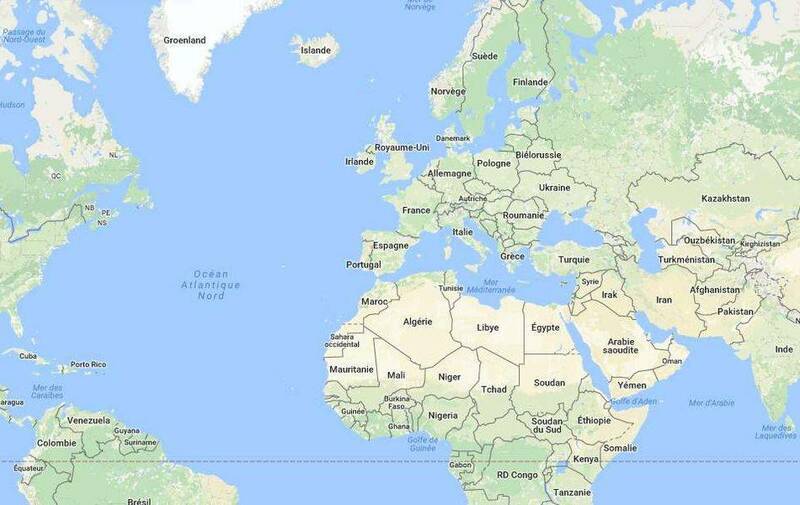 You have to take a globe to see it. The Statue of Liberty, it is a little closer, with a distance of 'only' 6912 Kms. And of course the three monuments of this list are the closest pyramid of Khufu (2127 Kms), the Tower of London (1434 Kms) and the Eiffel Tower (1111 Kms exactly). It goes without saying that all these distances are expressed as the crow flies.